We love guest comments and reviews. Every time we hear from one of our guests it helps us continue to enhance our high level of service and amenities. While driving from Arizona to Alaska, we stopped in Prince Rupert before catching our Alaskan Ferry. It was a welcomed bit of comfort at the end of a long trip. The price is higher than surrounding hotels, but well worth it. The room was comfortable and modern. The restaurant was excellent, and the view is wonderful. The service was great too! I’ve stayed at the Crest many times over the years. The small amenities that they have in the room are well thought out. 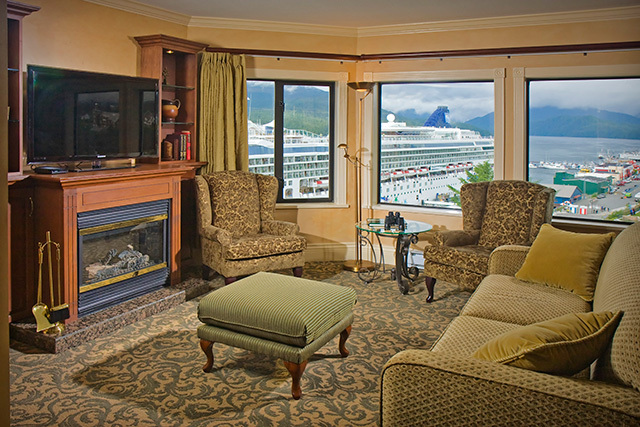 There are a few deluxe suites on the upper level that have their own kitchens for entertaining a small group. You MUST eat at the restaurant if you stay there. Their food is 5 stars all the way. We always stay at The Crest while in Prince Rupert. We like the atmosphere and the view! The front desk staff is always efficient and friendly. The rooms are always clean, comfortable and quiet.